Band Sawn Herringbone 18mm thickness in European oak. Hard wax oil finish in colour Polaris. 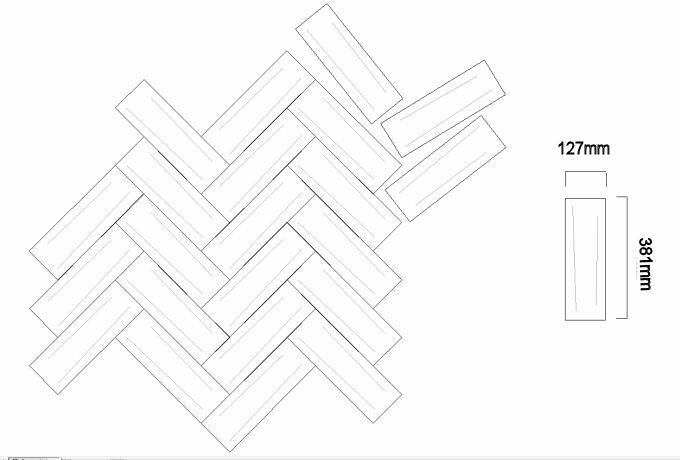 Dimensions 127 (W) x 381 (L) x 18mm with 4mm solid oak wear layer. Hard wearing and durable. A yearly application of maintenance oil will keep the floor looking pristine. The cross cut texture will both prevent and disguise scratches and indents from heavy wear. 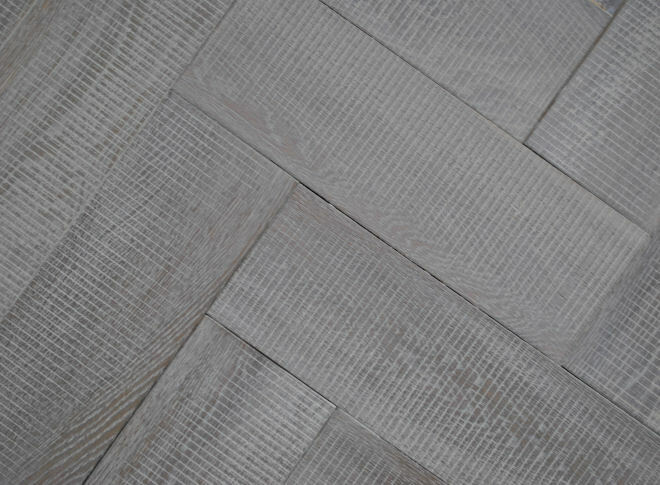 The band Sawn Herringbone is ready for immediate delivery. For further information please see our TECHNICAL page.